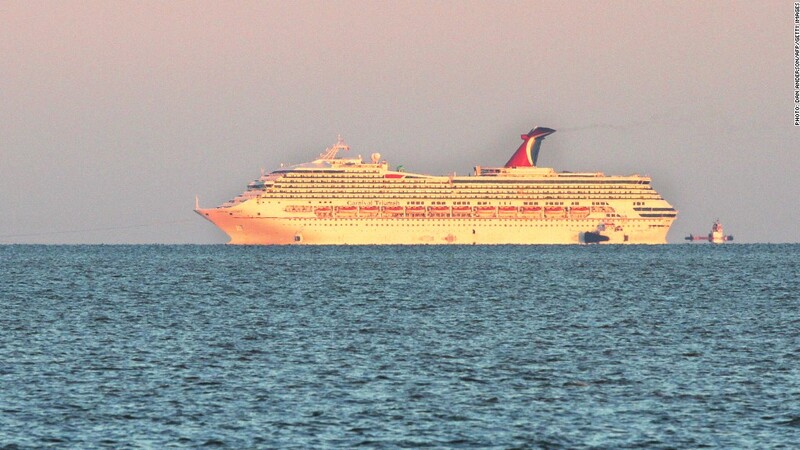 The disabled Carnival Triumph was towed back to shore in February. Carnival said it will upgrade power systems on its ships in response to the problems on this cruise. Carnival Corp. said it will spend $600 million to $700 million to make sure customers have "comforts" like working toilets, air conditioning and adequate food and water. Earlier this year, a fire aboard the Carnival Triumph caused the ship to lose power in the middle of the Gulf of Mexico. It took five days to tow the ship to shore. During the ordeal, passengers said raw sewage from non-working toilets was sloshing through hallways and running down the walls of the cabins. They also reported stifling heat due to loss of air conditioning and limited food availability. A month later, another ship lost power when it was docked in the Caribbean, and Carnival had to fly all of its passengers home. In a statement Wednesday, Carnival (CCL) announced a "reliability and guest comfort" effort that will upgrade the power and firefighting equipment on board all 101 ships in its 10 brands. Besides the Carnival Cruise Line, those brands include Princess Cruises, Holland America Lines, Cunard and Costa Cruises. Upgrading the 24 ships in its flagship Carnival line alone will cost $300 million. The total cost represents 35% to 45% of its projected profit for this year, but only about 4% of forecasted revenue. The initial increase in emergency generator power across the Carnival Cruise Line ships is designed to provide 100% power to stateroom and public toilets, as well as elevators in case of a loss of main power. It will also ensure fresh water. A second phase will expand power for cooking facilities and cold food storage, as well as for Internet and telephone communications in the event of a power outage. Carnival said the initial phase of the upgrade should be completed in the coming months, but couldn't say when the entire upgrade will be finished. In March, the company said it still expects to earn $1.5 billion to $1.7 billion during its current fiscal year, which ends in November. It said the problems on the Carnival Triumph would reduce earnings by $65 million to $81 million. On Wednesday, it said that the earlier profit guidance took into account the cost of upgrading its ships. Carnival has had a series of problems, the most serious being when the Costa Concordia capsized off the Italian coast in March 2012, taking the lives of 32 on board. In November 2010, the Carnival Splendor also suffered a power failure, which knocked out its air conditioning and fresh water systems and required a similar rescue at sea. According to a letter from Sen. John Rockefeller to Carnival CEO Micky Arison, the Coast Guard and Navy spent at least $4.2 million rescuing the Splendor and Triumph. He charged that as a foreign company, Carnival pays little or no U.S. taxes. In response to that pressure, Carnival announced Monday it would give "voluntary" reimbursement to the U.S. Treasury for costs associated with those rescues, although it did not give a dollar amount. In addition, the Carnival Fascination and Holland America's Veendam both failed recent health inspections by the Centers for Disease Control. And this week brought news of toilets failing due to blockages in the toilet system on Princess Cruise Lines' Crown Princess. Shares of Carnival, the world's largest cruise operator, were down 0.7% following the announcement. Shares are off 10% so far this year.